Sesame Street is a 60 minute kids cartoon series on PBS about the humans and puppets who live and play on an inner city street. Their interactions were typically orchestrated to teach lessons to pre-school children including the letters of the alphabet, numbers, ethics, dealing with emotions, and how to get along with other children and family members. Cartoons, film shorts, fun games and songs are used to make the lessons fun. A large number of the stories are taken from the cast, crew and writers' real life experiences. Title: "Can You Tell Me How To Get To Sesame Street?" Harmonica Music By: "Jean "Toots" Thielemans"
As of 2010, Sesame Street has won more Emmys and Grammys than any other show for children on television! The total count as of that year is a whopping 126 Emmy Awards and eight Grammy Awards! Sesame Street actually began airing on November 10, 1969 on the National Educational Network (NET) which was the U.S. educational network that preceded the development of PBS. It aired programming from May 16, 1954 to October 4, 1970. PBS began broadcasting the very next day on October 5th. The lessons taught on Sesame Street are based upon scientific research that determines the most effective ways to educate pre-schoolers. It is the first television series of its type to do so. The idea for Sesame Street came from TV producer Joan Ganz Cooney and Carnegie Foundation Vice President Lloyd Morrisett. They wanted to capitalize on the addictive nature of television and gear that towards benefiting childrens' education. They formed the "Children's Television Workshop (CTW)" to develop the show and got $8 million in Grants from the Ford Foundation, Carnegie, and the U.S. government and the rest is history! Sesame Street has been seen in approximately 180 nations with 20 versions produced independently for non-English speaking children and those from differing cultures. 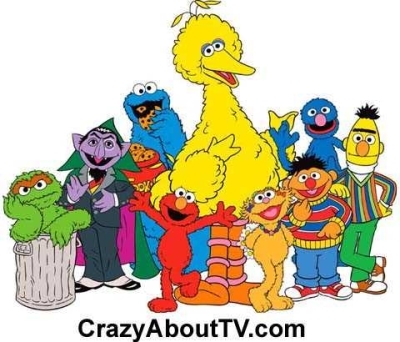 A 1996 survey determined that 77 million Americans had seen Big Bird and the gang when they were children! When Will Lee who played the role of the local grocer, "Mr. Hooper" died in 1982, the producers did not replace him with another actor. Instead, they wrote an episode titled, "Goodbye, Mr. Hooper" that as gently as possible dealt with the loss of someone you love. It was very controversial with many parents feeling that pre-schoolers should not have been burdened with such emotions. PBS responded that in real life children do have to deal with the loss of grandparents and occasionally even a peer and the episode was designed to make that likelihood easier for them to deal with. One subject that has never been dealt with on the show is divorce. There were several attempts but the producers found it impossible to do such a show without the audience fearing that their own parents might split up. Big Bird's teddy bear got its name, "Radar" from Radar on the series "M*A*S*H" because he slept with his teddy bear. If Big Bird looks really big to you, he is! At 8'2" tall he can be a bit overwhelming when his young fans meet him in person. It's not unusual at personal appearances to see many tears as kids run in terror away from the character that they love on television. Gordon's last name is Robinson after Matt Robinson who first played him on the show from 1969-1974. Gordon didn't get a last name until 1991 but then simply had to have one. You see, he became a teacher that year and it just wouldn't have been right for the kids to call him by his first name. You might suspect that The Count was old as vampires are immortal. It was once revealed that The Count's birthdate is October 9th of 1,830,653 B.C.! Did you ever wonder is the Cookie Monster has a real name? Well, you're in luck because in 2004 he said that before he ate his first cookie his name was "Sid". Everyone loves the show's theme song, "Can You Tell Me How To Get To Sesame Street?" but it was not the first theme to be considered for the series. The first one that was thought of was, "Sing a Song" which later became a hit by "The Carpenters". The inspiration for Oscar the Grouch came from a grouchy waiter who waited on Jim Henson at "Oscar's Tavern" in Manhattan. Executive Producer Joan Ganz Cooney had seen how Robert Keeshan, the star of "Captain Kangaroo" had threatened the continuation of the series, "Puppet Playhouse" (which was later renamed "The Howdy Doody Show") when he became so popular in his role as "Clarabell the silent clown" by demanding more money during contract negotiations. Because of that, she set out from the start to make sure that there would be many actors playing equally popular roles on Sesame Street so that no single actor could make unreasonable demands on the show. By the way, several of the writers and other crew and producers on Sesame Street had previously worked on "Captain Kangaroo". Thank you for visiting our Sesame Street page!